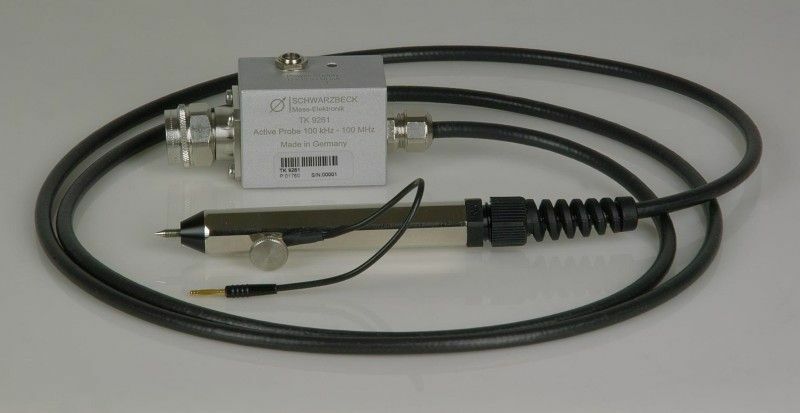 In addition to EMI measurement with LISNs (Line Impedance Stabilisation Networks, Artificial Mains Networks), Probes are used for Terminal or Line voltage measurement. LISNs are required to feed the Equipment under Test (EuT) with mains power, to reduce external line interference, to offer the EuT a standardized impedance and to route the extracted r.-f. voltage to the EMI receiver. Probes are used for terminal voltage measure ment, also on cables, output sockets, PCB traces. In many cases high input impedance and low capacitance is required for this purpose. Active Probes may not be used for general Interference measurement, as pulses could by far exceed the linear voltage range. This not only causes limiting and distortion effects but also intermodulation that changes the frequency distribution of spectral components. These resistive dividing probes are perfectly linear and free of these effects. By the use of an AC and pulse-compatible input blocking capacitor (that is also free of partial discharge effects), EMI measurement is also possible on AC power lines up to 250 V ac or DC sources up to 500 V.
High-Voltage Probes up to 10 kV (20 kV) DC or 2 kV AC with 1500 Ω input || 4 pF input capacity are available as TK 9420. For the max. power line voltage of 250 V ac two probes are available with input resistances of 1.5 kΩ, and 2.5 kΩ with the model numbers TK 9420, and TK 9417. 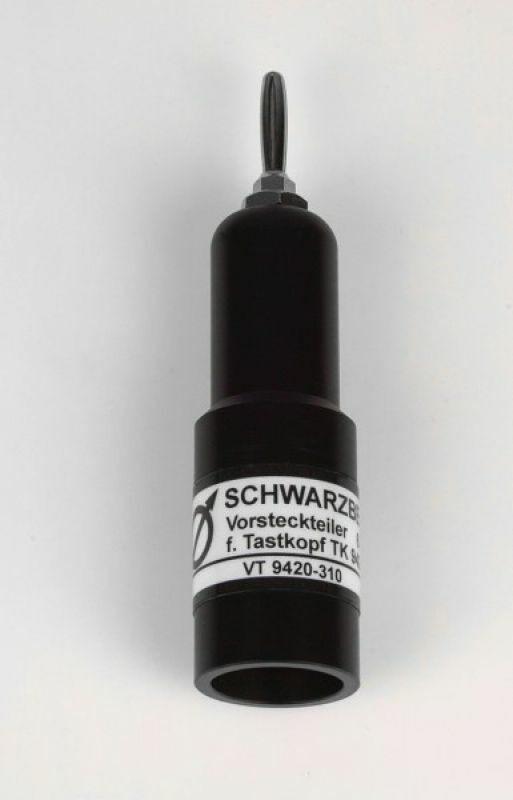 The TK 9261 is an active high-impedance RF voltage probe equipped with an internal impedance transformer which allows using it with 50 Ω measurement devices (such as spectrum and network analyzers or test receivers).